ProMite products are designed to be extremely resistant to shock and abrasion, no matter the climate. ProMite withstands temperature down to -50° C without losing its properties. By using the latest technology for metallurgical bonding with mild steel, we are able to offer products that are easy to install and ensures maximum performance. 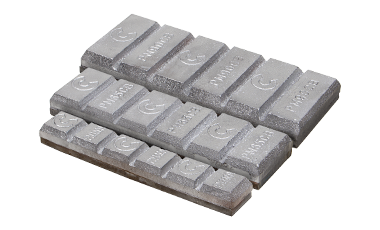 Our wear buttons, chocky bars and solid bars have a high level of white iron at 700 HB and are available in a wide range of different sizes and can therefore effectively be used on a wide variety of buckets. The products are suitable for everything from wheel loaders and excavators to drag line buckets. Do you want to order or ask questions? ProMite chocky bars are easy to use and install. No pre or post heating needed when welding. The ProMite chocky bars come pre-notched for easy forming onto inside or outside contoured surfaces which needs an extra level of protection against wear. ProMite solid bars are easy to use and install. No pre or post heating needed when welding. 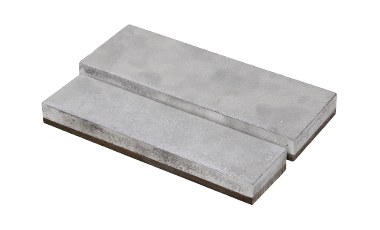 The ProMite solid bars are perfect for corners, edges and hard to reach places. Use ProMite solid bars wherever you need impact and wear resistance. ProMite wear buttons are easy to use and install, no pre or post heating needed when welding. The ProMite wear buttons are also a perfect protection for adapters or protection of areas with extensive wear.